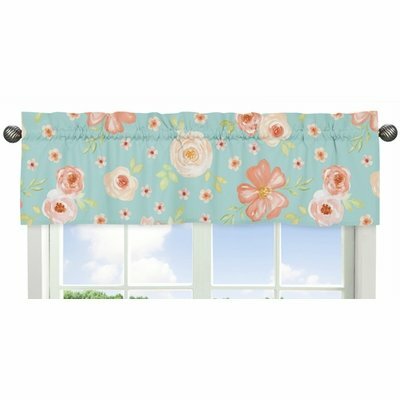 Turquoise and Peach Watercolor Floral Window Valances will help complete the look of your Sweet Jojo Designs room. This valance softens the look of the window and obscures pulled up blinds. It will coordinate nicely with your Sweet Jojo Designs bedding or can be used as an accent with your own room design.